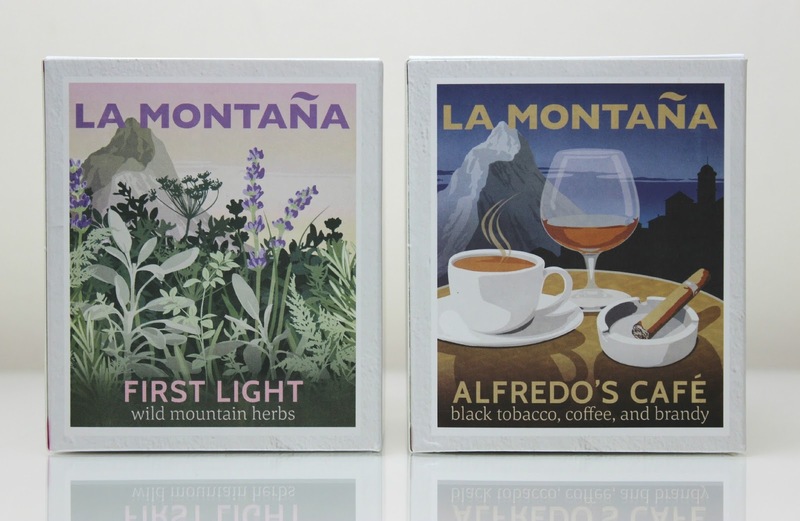 La Montana was created by two Londoners who decided to pack in the everyday City life and head for Spain, picking a beautiful mountain village to settle in, creating a range of exquisite candles with phenomenal scents inspired by their new Mediterranean life. Each candle is presented in glass jars with their own unique and collectable label in the style of 1930's travel posters. At 220g each, they each have 1 center wick and burn for a minimum of 40 hours. There's 4 scents in total within the range; Alfredo's Cafe, First Light, Galan de Noche and Winter Oranges. I was very kindly sent 2 scents from the range to try for myself, and as soon as I took off their protective cellophane wrapping, the scents were immediately noticeable - even before I'd opened their gift boxes and taken them out! The candles are really, really beautifully designed. 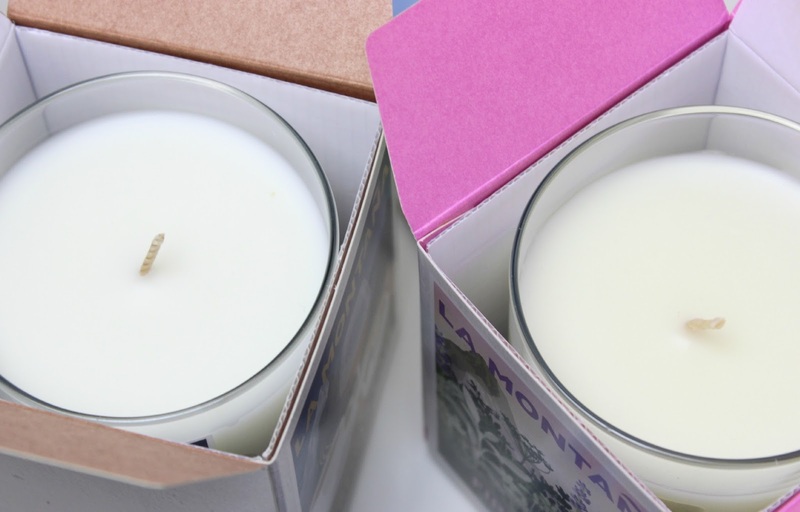 I adore the labels on the candles themselves, and the boxes are just as beautifully presented. It really felt like a little bit of the Mediterranean had come into our home! 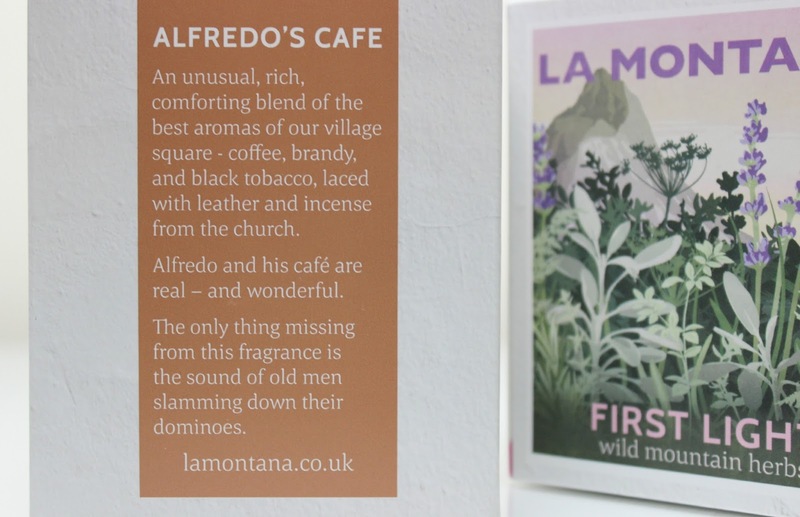 Alfredo's Cafe is a masculine and warming scent with an unusual yet very comforting blend of Coffee, Brandy and Black Tobacco, alongside Leather and Incense. For me this scent makes me think of family - of little houses in Cyprus up in the hills, everyone drinking Greek coffee or liquors whilst the men smoked, incense burning on mantelpieces donned with religious symbols. It's strong, a blend of fragrances which create a powerful scent that manages to make a big impact without being overpowering. More of a night-time scent for me, perfect for anyone like me whose boyfriend likes candles, but doesn't like the sweet fruity and floral scents I usually have! I am honestly so smitten with Alfredo's Cafe, it's beautiful. 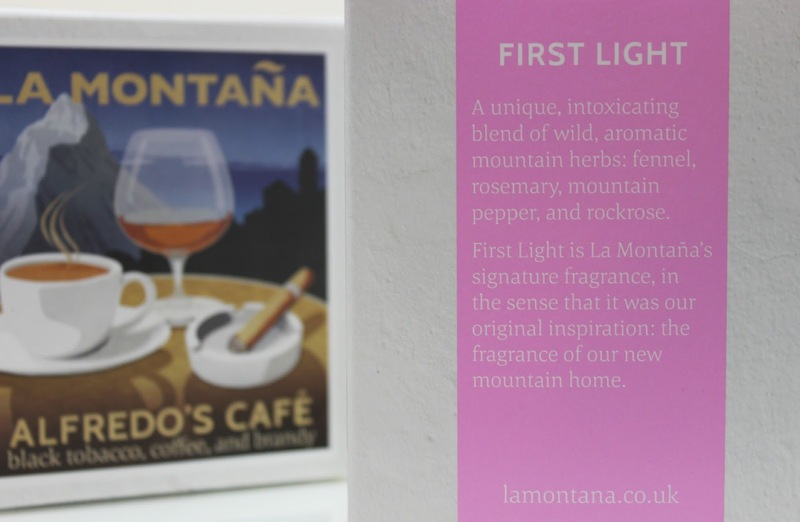 First Light was the first candle created by La Montana, a scent just as beautiful as Alfredo's Cafe, but completely different - an intoxicating blend of wild and aromatic mountain herbs including Fennel, Rosemary and Mountain Pepper alongside Rockrose and Bergamot. It's fresh and invigorating, beautiful for lighting first thing in the morning and letting the uplifting and reviving scent envelope your home. I find First Light to be a very soothing and calming scent, one which instantly makes me relax once lit and lingers beautifully throughout the day despite the fact I only keep candles lit for 2 hours at a time. I wish my whole house smelled like First Light all day everyday, it's that stunning. At £35 they're a luxury candle brand, but the burn time, quality and the unbelievably stunning scents make them worth the price - I plan on getting Winter Oranges this winter, as I think it would make the most perfect Christmas scent! 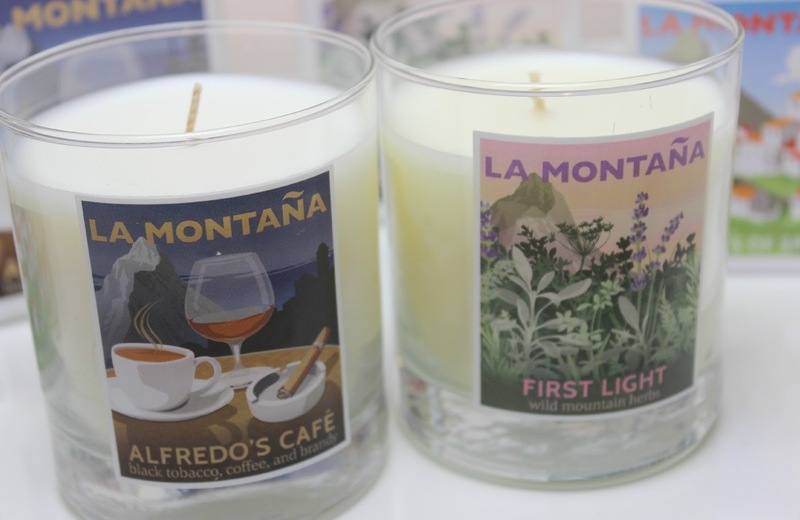 If you love candles as much as me, I cannot recommend enough that you check out La Montana! Available at www.lamontana.co.uk with free delivery to mainland UK addresses.